I can't believe I haven't posted in this before! Some Dukane system, since the FA system is EST. The bell was a 2-second sine wave that I cannot for the life of me remember the pitch. There are no master time clocks anywhere. This school had an EST3 replace the old Simplex system, so the master time system is probably Simplex but the PA system is likely Dukane. The bell is a 2-second sine wave, and I do not remember the pitch. There are Simplex master time clocks all over the place. My current school has another Rauland system, without warning chimes. The pitch on the bell is a B concert. Bonus points if you can guess the pitch of this one in hertz! This school also has Rauland clocks. 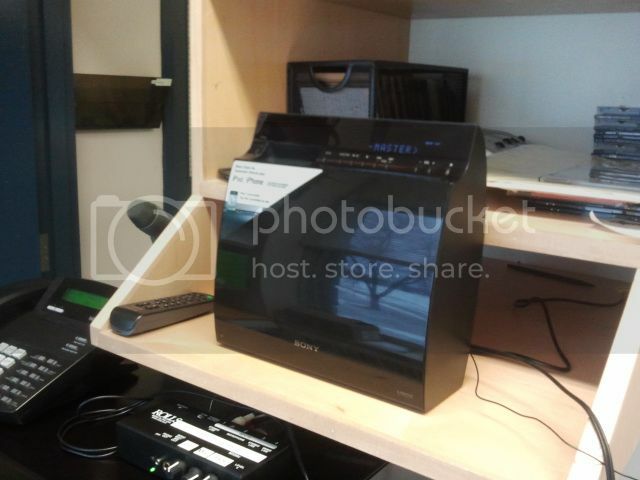 The first picture was the old control console that was in the announcement room. The second picture is the new refurbished one that was put in after the system fried. The most annoying thing about these was doing the announcements with them. You had to hold down the 'push to talk' button to keep the mic on, it didn't latch in. This was the other control console that was located in the office. This one was used mainly by the secretaries to make announcements and page rooms during school. 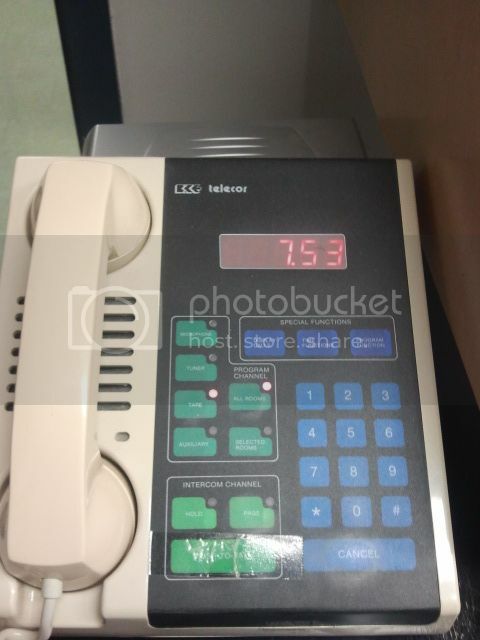 This one was used by picking up the phone and using the page feature, which it latched in. This was the new system installed March 2013. I forgot to take a pic of the new unit, but there is the new console, paging microphone, and the new CD player. The console is unlike the old one, pretty much the same features, but one exception. This one latches in, as well as the new microphone with it. I don't have a picture of the one in the office because it is the same. 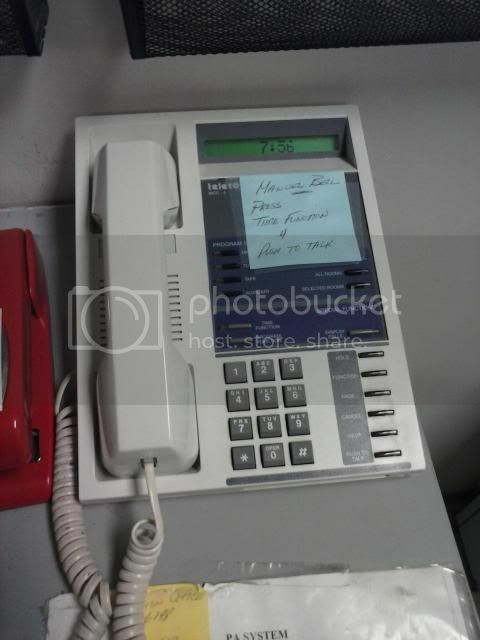 Old Telecor 2 system, New Telecor XL system (manual bell), and The new system with the automatic bell schedule. Elementary School: Simplex Time Recorder, with three toggle switches and a time clock system. Each classroom and the hallways had a small electric bell, I’m guessing 6” across. The timer is mechanical rather than digital. The bells rang on the designated time cycle, but could be overridden by flipping the switch down to activate it at any time. 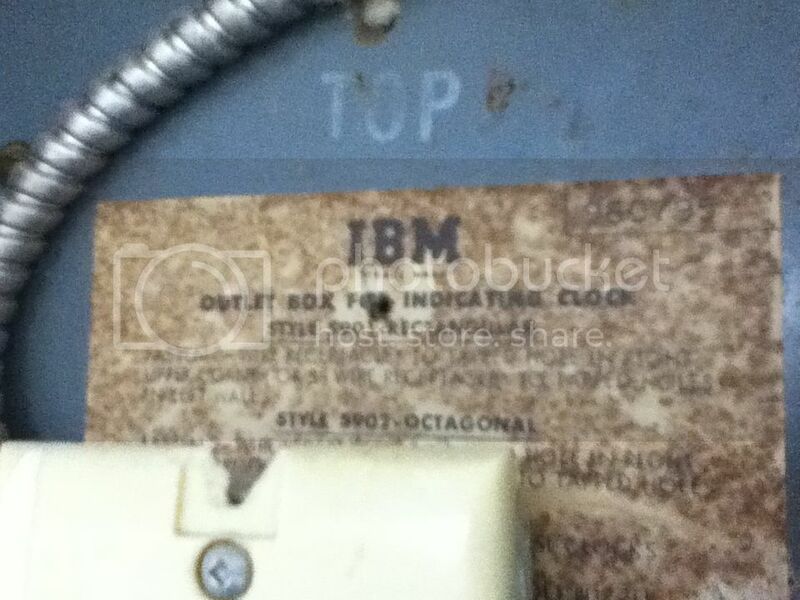 I remember getting to ring the tornado drill signal (repeated bell rings)with it. I bought an old system that I’m working on wiring up. Middle/High School: Tones on intercoms, but I don’t know what system. The middle school intercoms looked like they were original to the building, but the high school system had been replaced at some point. The three switch device is a Simplex R83 program machine. It runs on a synchronous motor mechanism that advances each minute. It has three bead boxes, one for each circuit. Each bead chain has 1440 beads, one for each minute. Bells are programmed to ring by adding a larger bead to that minute of the chain to close a contact. That's exactly the one! Attempting to get mine running - with a couple of bells - will be a summer project. I've seen these installed in some elementary schools. I've been dying to get my hands on an Edwards/Simplex time controller. 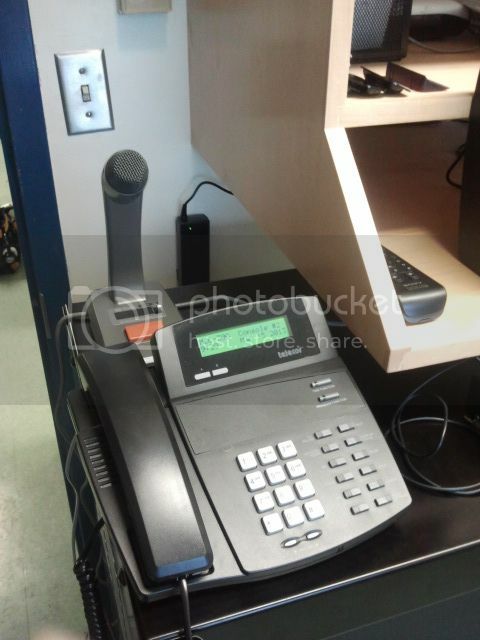 Inside, there were Dukane speakers throughout (ones in the classrooms were wall-mounted). Main bell is a 515hz chime over the intercom, warning bell is a 825hz chime over the intercom. Sometimes there would be a 1150hz chime tone. Outside there are old 10 inch bells that are painted over. My primary school had an old PA system from 2001 when the school was built. 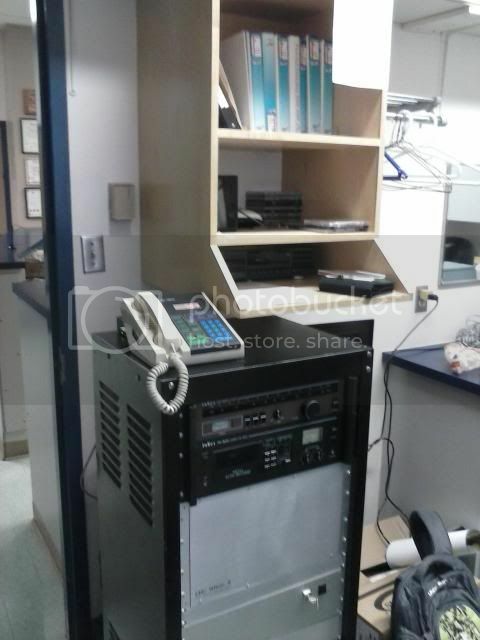 I have no idea what the manufacturer of the PA system was, but I want to know if anyone can help identify it. 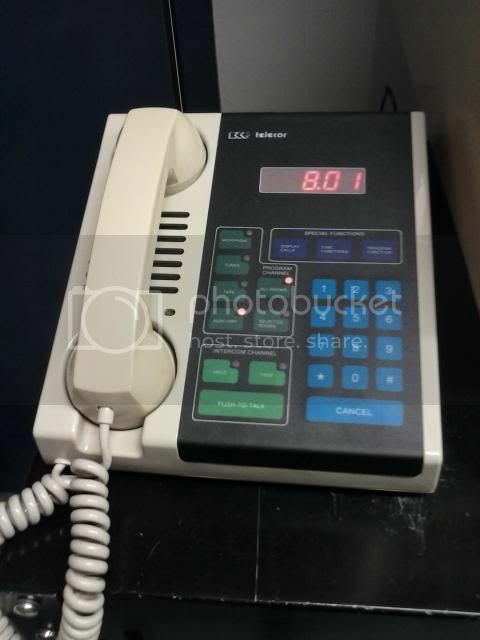 The paging tone is a 1080hz tone, and the pa phone itself is white, does anyone know what it is? Also, the PA system was removed in 2016. I found the tone list from a Simplex 5120 system. Do any seem familiar? A white phone could be used by any supplier. The phones we used were white and from a large telephone supplier. I don’t think it’s a simplex PA, all the basic functions were done through the phone itself. It could be a Bogen, Rauland-Borg or a Dukane PA. I guess I’ll never know, it’s been many years since I heard the paging tone, but I’m confident the tone is around a 1080hz square paging tone. Also I forgot to mention that the school clocks are simplex, and also what do the chime tones sound like as seen on the tone chart? 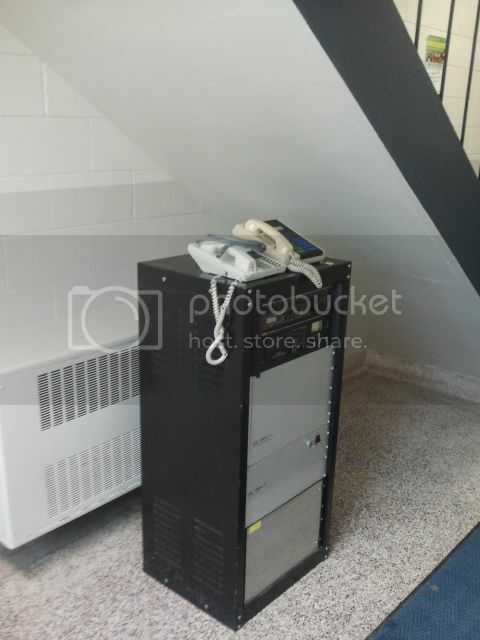 Since my elementary school was renovated, I'm sure that they have a new PA system. I wonder what it is? And I also wonder what the old one was. Those tones for your school certainly do sound very interesting and incredibly neat! I like how they are set up!